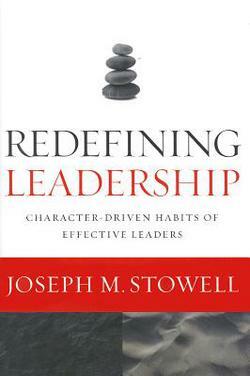 Stowell presents two distinctly different kinds of leaders: Outcome leaders and character-driven leaders. The former are referred to as “instinctive” leaders, the later – “kingdom” leaders. The author describes kingdom leadership which is “measured by the life of a leader who cuts a wide and impactful swath of positive influence.” This is the kind of leader, in the final analysis, who makes a difference in God’s kingdom. The author address potential pitfalls and “delusions” that character-driven leaders need to avoid. This brand of leader has his eyes fixated on the One who humbled himself and became a Servant to all, namely, Jesus Christ. Follower-leaders count it an honor to follow Jesus. Follow-leaders are found in the “Way” with Him. Part 2 proves to be the heart and soul of the book as the author spells out the importance of “moral authority” and the importance of humility in a growing leader who commits himself to the “Way” of Christ. The final section surveys the core competencies of a leader which is grounded in the kingdom priorities of Jesus. This leader relies on the strength that is granted through the indwelling Christ. Indeed, he is committed to the kingdom agenda that emerge in Matthew’s gospel. Such a leader manifests qualities such as repentance, forgiveness, meekness, and mercy. Redefining Leadership is a book which is totally unique. Few books devoted to the topic of Christian leadership are filled with the depth of wisdom found in these pages. Both young and seasoned Christian leaders would do well to pour over these pages and benefit from Dr. Stowell’s wisdom.